As part of a firm's strategic sourcing best practices, they must determine the most cost-effective mode of transportation for cargo. 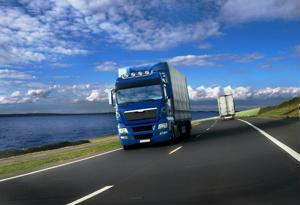 For freight sourcing, many manufacturers choose ground transportation by truck. Recent reports have shown truck orders have increased despite manufacturers saying U.S. road infrastructure is becoming worse. The majority of manufacturing leaders agree the nation's transportation infrastructure needs improvement to continue economic momentum, according to Transportation Topics. In a survey by the National Association of Manufacturers of more than 400 manufacturing heads, more respondents said roads were deteriorating more than other transportation infrastructure systems including water, rail and aviation. While 70 percent rated U.S. infrastructure as "fair or poor," ground transportation had the most negative feedback in the NAM study with 70 percent saying road quality was declining. "Improving our ports, highways and bridges is essentially an economic driver," Ed Rendell, co-chairman of Building America's Future, said in a statement. Rendell was present while Jay Timmons, CEO of NAM, revealed the results of the survey. Timmons said if the nation does not invest in roads, U.S. manufacturers could fall behind in the global market. "Modernized ports and transportation systems enable American manufacturers and businesses to export their goods to countries around the world, which strengthens our economy here at home," Rendell said. Despite the worsening condition of roads, truck orders for Classes 5-8 in August are recovering after orders in the previous months have been slow to pick up, Fleet Owner reported. Orders for Class 8 trucks increased 20 percent year-over-year to 19,500 units. Seasonally adjusted August figures come in at 22,000 units, which is the third best performing month out of the previous 20 months. Class 5-7 orders are also making gains. They reached 18,000 units in August, almost hitting a 5-year high for these combined classes. "August is typically a strong month for medium-duty vehicle orders," said Kenny Vieth, president & senior analyst for ACT Research. "As a result, seasonal adjustment causes a modest decline in the order total to 17,500 units, the third best SA order total since early 2008." As a leader in transportation services, FedEx posted a net income of $487 million in its fiscal year ended August 31, rising 7 percent compared to 2012. FedEx said all sections of the company's transportation division performed well and resulted in increased profits. The company's freight division said its revenue grew 2 percent from last year, reaching $1.42 billion in the first quarter of 2013 compared to $1.4 billion at the same time in 2012.